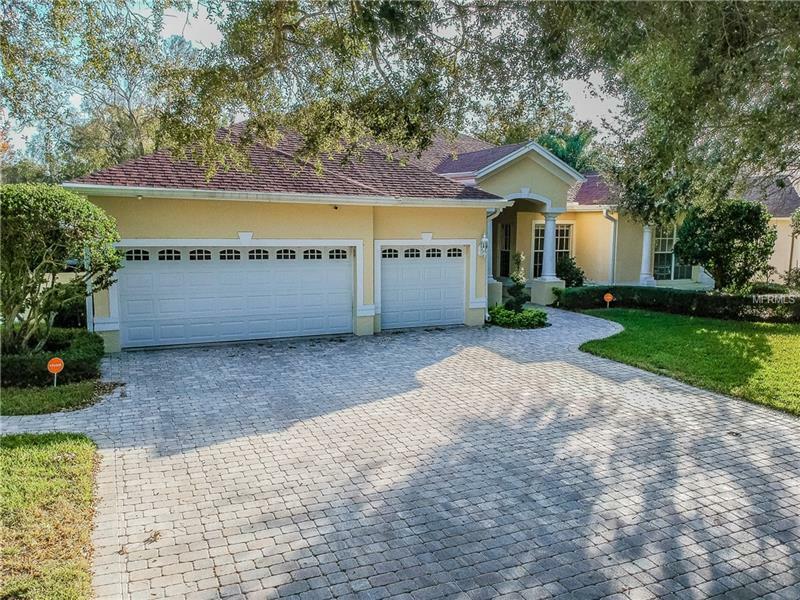 Elegant/contemporary home fully equipped with 4 bedrooms, 4 full baths, plus office, 3 cars garage, conveniently located within minutes of main roads as well as all of the shopping, dining and entertainment North Tampa has to offer. Upon entering the foyer proceeding through the separated formal dining/living youâll see the open kitchen with all of the almost new modern stainless appliances, granite counter-top/back splash, strategically placed to incorporate activities simultaneously in the family room, nook and covered lanai ideal for setting up a buffet while watching the game or enjoying your any time coffee/tea/wine while looking at the lake. Privately off the living area is the large master suite and bath offering dual closets, sinks, vanity area, shower and soaking tub. The three-car attached garage offers plenty of overhead storage space and wall to wall cabinetry. A beautiful tree lined street with many gorgeous and beautiful homes, make this the ideal location to enjoy family walks each night. Stop by, this is a must see. OWNER MOTIVATED and WILLING TO FINANCE WITH A $150000.00 Down Payment.